176pp. Gospel Publishing House, Springfield, Missouri, USA. 1924. 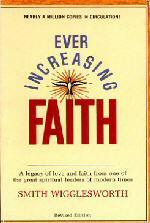 First published in 1924 this is the first collection of Smith Wigglesworth sermons to be published. Stanley Frodsham took notes on the sermons and reproduced them in the book. Wigglesworth was named as author as it was his sermon material. The same 18 sermons were also published in the ‘Pentecostal Evangel’. 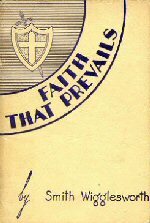 The second collection of Smith Wigglesworth sermons published by Stanley Frodsham. Seven sermons are included; most of which were published in the ‘Pentecostal Evangel’.